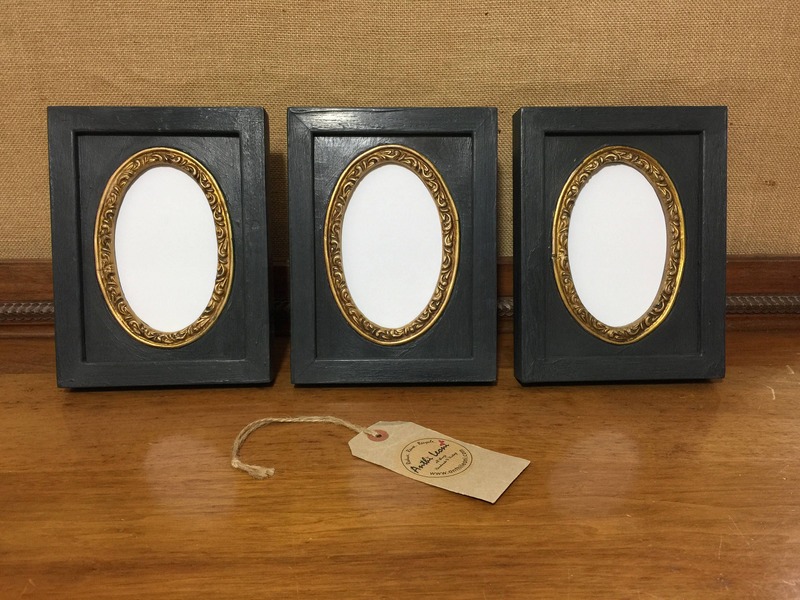 A pretty set of gothic antique style charcoal black painted frames with vintage wooden OVAL mount inserts with rich gilding added to accentuate the ornate carving. HURRY ONLY ! SET LEFT!!! 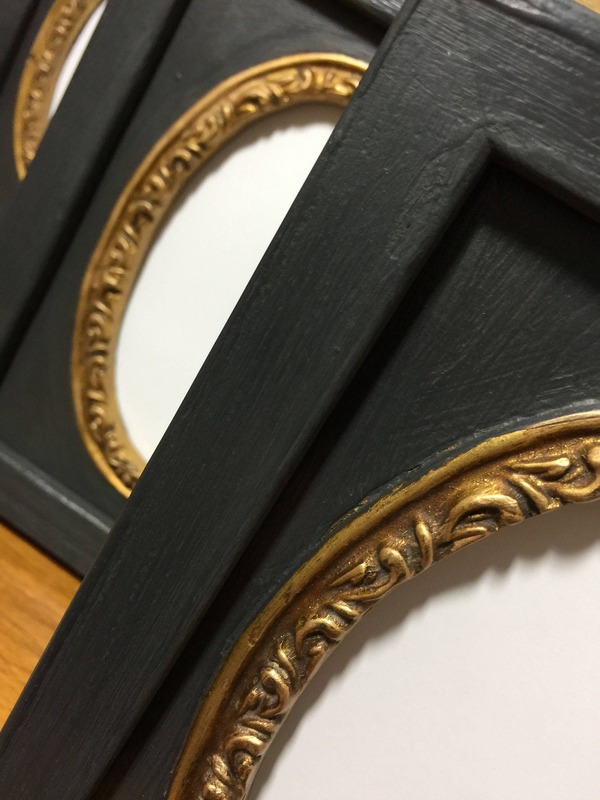 Perfect for mounting portrait pictures, silhouettes, and cameos, embroidery canvas or crafted artwork and can even be used decoratively on their own as a piece of unique wall art. 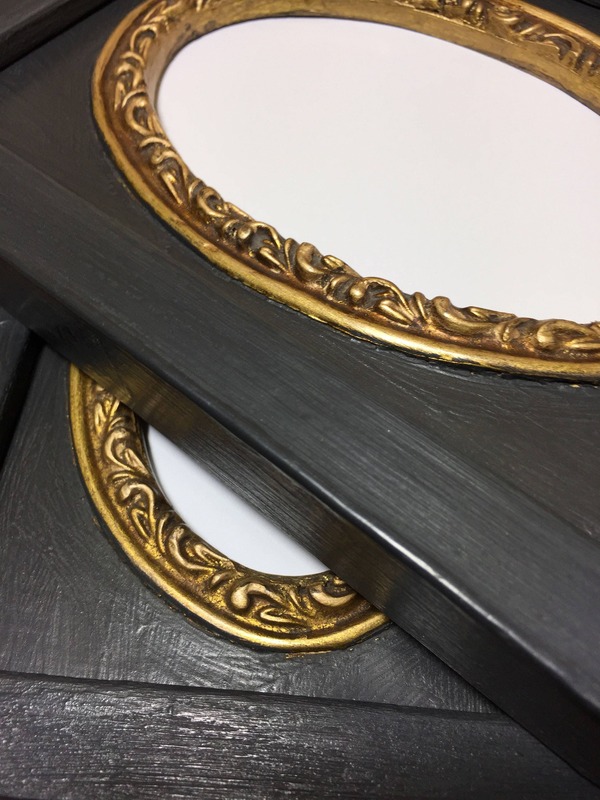 Frames are painted in an Eco-friendly chalk and mineral paint, sealed with a rustic wax finish and distressed for that aged antique look. 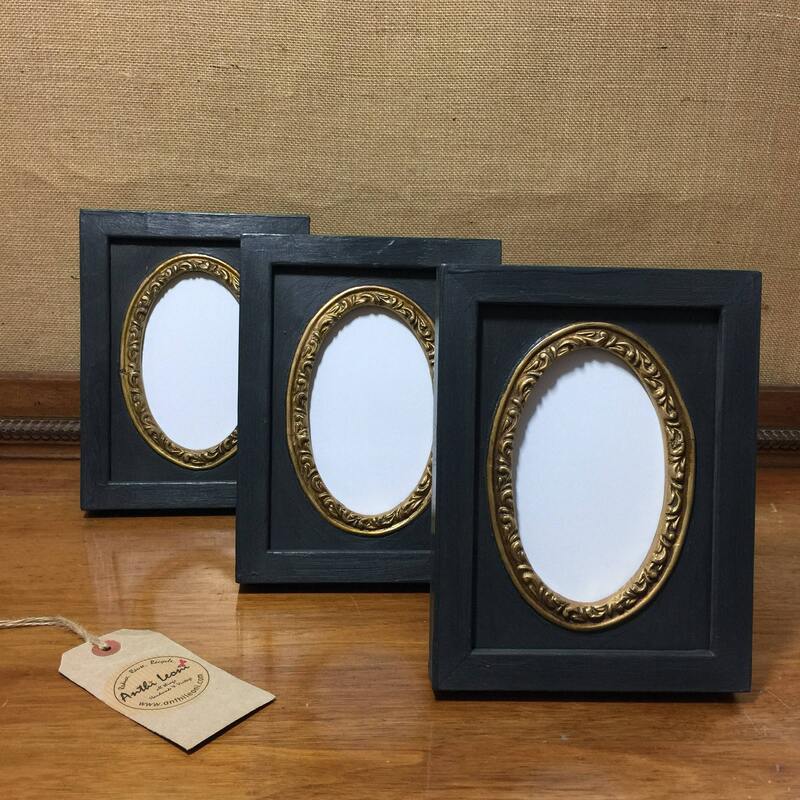 + External Frame size 6" x 8" - Oval Aperature - 3" x 5"
+ Available with GOLD, or COPPER/ROSE GOLD highlighted guilding.